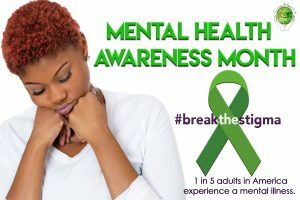 Follow Kappa Xi Omega on Twitter, Facebook, and Instagram for educational tidbits on mental health awareness. Heart disease is the # 1 killer of African American women. Step Lively is meant to promote physical activity our members and the community. 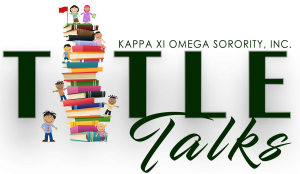 Title Talks focuses on increasing literacy and access to books among under served populations. • 93 million adults in the U.S. read at or below the basic level needed to contribute successfully to society. • By the time children from low-income families enter grade school, their proficiency in reading has already become an issue. • 47 percent of fourth graders from low-income families read below the basic level. • 50 percent of Black fourth graders scored below the basic level, as do 47 percent of Hispanic and 49 percent of American Indian fourth graders. 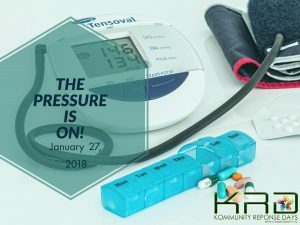 Kommunity Response Days (KRDs) are designated days of service where members nationwide mobilize in their respective areas on the same day with a focus on specific community targets. Title Talks will be happening in FL, WA, MD, NC, TX, KY, VA, GA,OH, NJ, D.C., and IL. 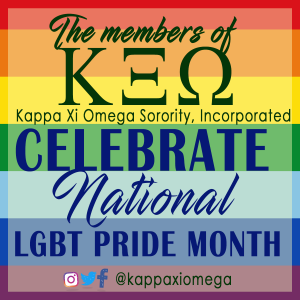 Email kappaxiomega@gmail.com to participate. 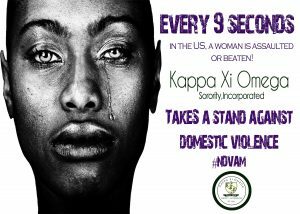 Follow Kappa Xi Omega on Twitter, Facebook, and Instagram for educational tidbits on domestic violence signs and prevention. Kappa Xi Omega celebrates her members. To celebrate National Coming Out Day which is October 11, members wear orange to symbolize diversity. Go Orange is a signature program of Kappa XI Omega commissioned in 2007. Go Orange was created by the National Community Service Commission. Sorors wear purple in support of GLAAD’s Spirit Day. Getting involved in Spirit Day is easy. Wear purple and turn your profile pictures purple Spirit and help create a world in which LGBT youth are celebrated and accepted for who they are.